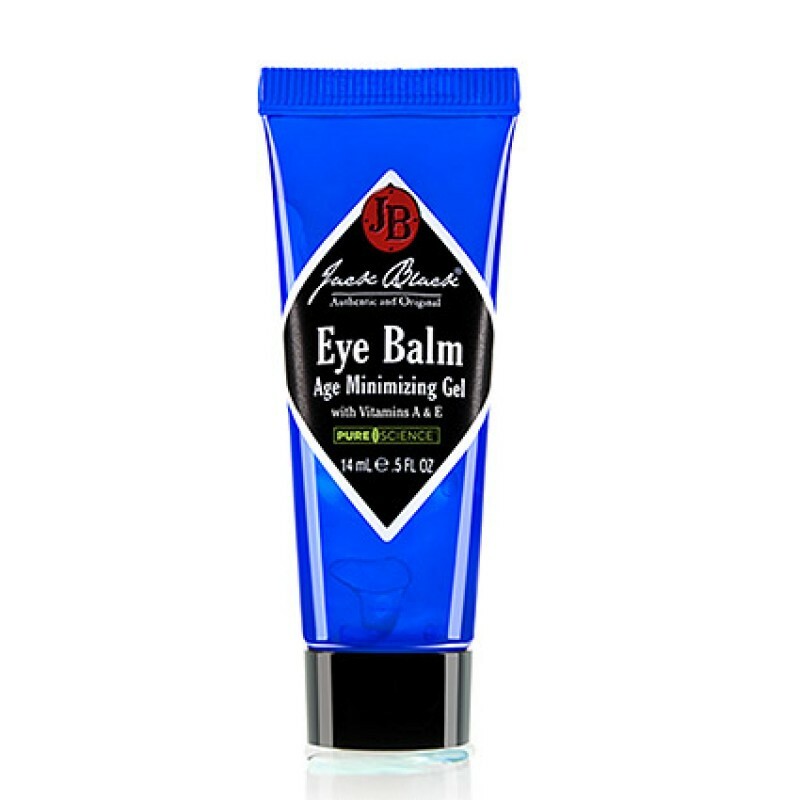 Get rid of that tired hound dog look with Jack\'s special Eye Balm. The high-potency, lightweight gel will visibly change the look of skin around your eyes. Advanced vitamins and soothing extracts - like vitamin A, vitamin E and chamomile - help reduce the dark circles, wrinkles and droopy bags by nourishing skin cells. Intense moisturizers penetrate tissue and help it maintain critical moisture, because hydrated skin looks a lot like young skin. And, the formula soaks in quick, with no greasy afterfeel. No one will even know you have it on. Fragrance-free. Colorant-free. How do I use it? A little Eye Balm goes a long way. To use, apply a pea-sized amount below and around eye area with the tip of your finger. What\'s in it?